6th Graders Prompt Bill to Recognize Capitol Builders | Who Built Our Capitol? 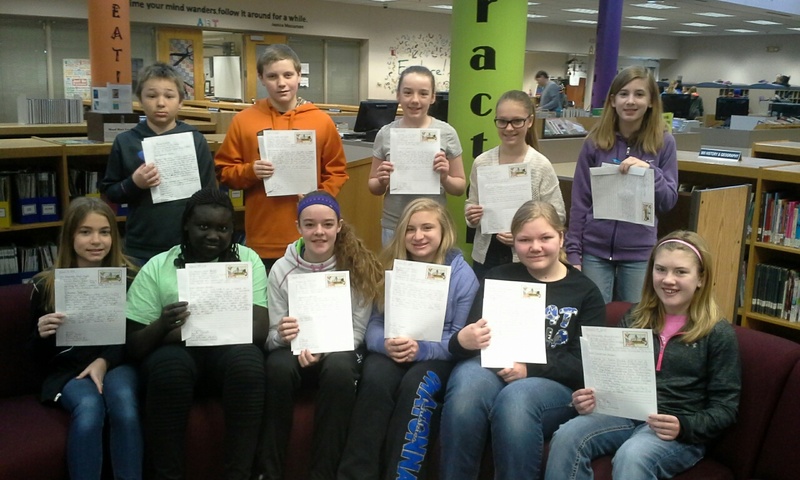 In Owatonna,MN, Willow Creek Intermediate School sixth graders wanted to know why there was no recognition of the workers who built the Minnesota State Capitol anywhere in the buidling. They had been studying the builders with their teacher, Jen Hansen, co-designer of the "Who Built Our Capitol?" curriculum featured on this website. The students started a petition to get a plaque placed in the statehouse honoring the workers, especially the six who died during the construction. They gathered more than 700 signatures and wrote to their legislators. HF 2249 on April 25, 2015. The students' campaig grew out of a question Labor Education Service staff member Randy Croce pondered in 2009: "Who were the workers who actually constructed the Minnesota State Capitol building?" He found that only a handful of builders' names were publicly available, so he launched a research project that developed into a video documentary, website and finally a curriculum called "Who Built Our Capitol?" Dave Riehle, Victoria Woodcock, John Sielaff and Dan Ganley joined the team that uncovered the names and information on over 640 workers and contractors who were actively involved in building the Minnesota statehouse. The researchers traced descendants of the builders, yielding rich exchanges of information that continue to inform and personalize the Capitol construction story. Only a portion of the story could be conveyed through the documentary, so Woodcock created the project website, which continues to expand with newly discovered information. The Capitol is well suited as a vehicle to teach students about labor, immigration, geography, economics and other social studies concepts and the website provides extensive primary sources for classroom investigation. Further, the Capitol is the destination for tours by 60,000 students a year. So the Education Minnesota Foundation for Excellence in Teaching and Learning awarded grants to the Labor Education Service to pilot a class and develop curriculum based on the documentary and website. Sixth grade teachers Jen Hansen in Owatonna and Missy Klapperich in Cannon Falls developed the curriculum during the summer of 2014 and teachers throughout the state have been field-testing the lessons during the 2014-15 school year. The students' response has been enthusiastic, culminating in the petition and letter-writing campaign for a commemorative plaque. Brian Pease, Minnesota Historical Society Site Manager for the State Capitol and others involved with the history and restoration of the building have also considered some commemoration of the original builders. The bill would move the process toward realization. At long last, the people responsible for the creation of the statehouse will be honored alongside the military and political leaders recognized there. See Kim Hyatt's article in the Owatonna People's Press reported on Rep. Petersburg visit to Willow Creek school and the genesis of the bill. See Minnesota Senator Jensen's piece in support of the bill in the Owatonna People's Press. Read the text of the Senate bill. This article on the campaign for the bill also appears in Workday Minnesota.